50 serious entrants from 17 Countries, Preliminary Notice of Race published, Course amendments to include �gates�, Suhaili replicas added to list of approved monohulls. The Pre-Notice of Race has now been published and lists the 32-36ft long-keeled production boats approved for the race with the addition of Suhaili replicas known as ‘ERIC' designs built in wood, steel or fibreglass. The course has also been amended to include additional ‘gates' in the Canary Islands, Cape Verde Islands and Falkland Islands for competitors to drop off film, and a southern boundary of 47°S in the Southern Ocean has been set after Kerguelen Island to keep the fleet clear of icebergs. Click here to download the Pre-Notice of Race. 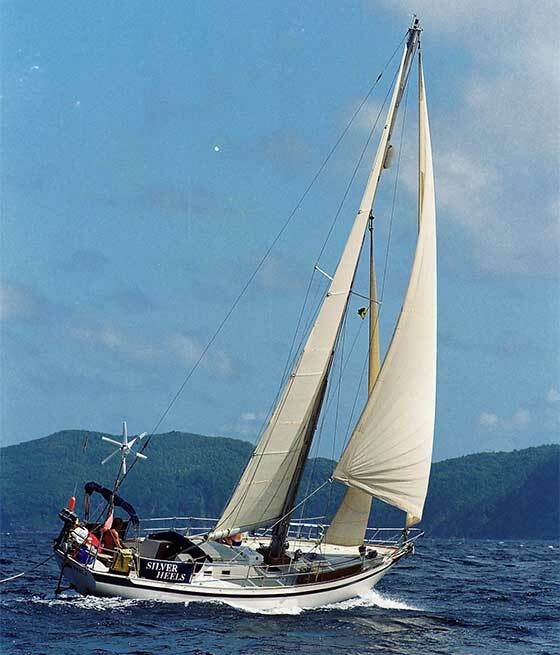 In addition, prior to the Race, entrants are now required to sail for one day under jury rig made up of two spinnaker poles and an emergency rudder system, and carry all this equipment during the race. While no digital or satellite technology is allowed, for safety reasons, competitors will be issued with a satellite phone, and tracking system through which they can send two 100 character text messages a day directly to the race organisers. All other communications have to be made via HF radio, just as Sir Robin Knox-Johnston used during the 1968/9 Sunday Times Golden Globe Race.